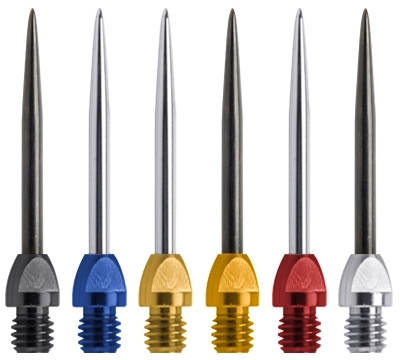 Convert your soft tip darts to steel tip in moments! 2BA Keypoint Conversion Points are available in sets of three. Shown in black, blue, brass, gold red, and silver. You may mix and match Conversion Points on this website to achieve quantity discounts.